Creating your outdoor living space means claiming your own little slice of nature and customizing it to suit your lifestyle and enhance your daily routine. Sometimes there is nothing more relaxing than sitting on your favorite patio chair, feeling the warm sun mixed with a cool breeze, and smelling the fragrant flowers blossoming in your garden. Imagine how much more time you would spend outside if you had your very own covered deck or patio, outdoor fire place, pergola, sunroom or out door kitchen to enjoy! Think of all the ways an outdoor room could enhance your lifestyle and prime your home for entertaining guests year-round. Homeowners desire outdoor rooms for a variety of both fun and practical reasons. Outdoor dining is a big motivation, so with the right outdoor living scenario outdoor dining can be just as, if not more, comfortable as indoor dining! JC Landscaping will sit down with you and establish what features your outdoor room needs to suit your lifestyle. Some owners swoon at the idea of an outdoor patio, customized out door kitchen. 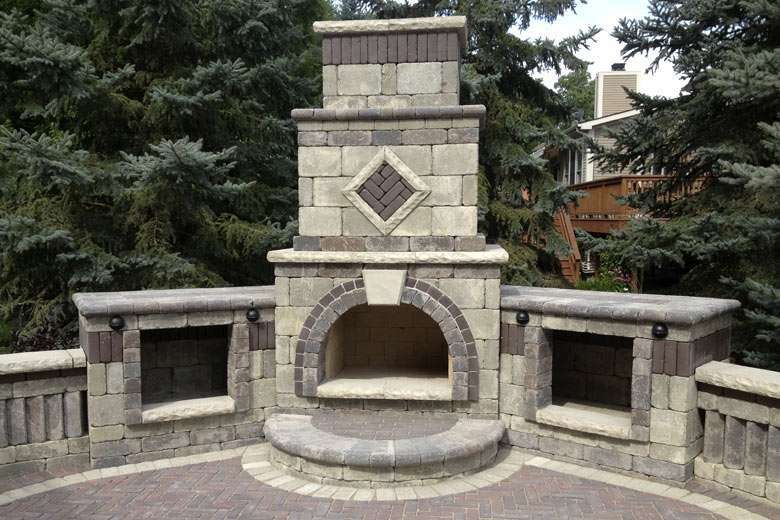 Other homeowners want an outdoor bar setting, pergola and seating area, with a customized fire pit, or natural water feature! Our knowledgeable and experienced team of landscape design professionals and outdoor living specialists will sit down with you and explain the features and benefits of each structure. Whatever your dreams may be, JC Landscaping can turn them into reality.